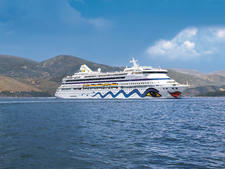 Built in Finland in 1996 and originally called just plain Aida, AIDAcara was the very first ship in the fleet of what is now Germany's largest cruise line, and the first ship in the world to offer the innovative "club ship" concept. AIDAcara features two main restaurants, the Calypso Restaurant and Markt ("Market") Restaurant, both of which offer open-seating buffet dining. Rossini is an extra-tariff, a la carte alternative restaurant that offers the only waiter service onboard. The theatre -- logically called Das Theater -- is the biggest public area. 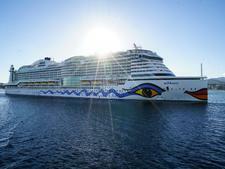 Others include the huge full-width AIDA Bar and the lively Anytime Disco. Plentiful deck space includes a wrap-around promenade deck and a spacious pool deck that also features a volleyball/basketball court. Spa and fitness facilities in the Body & Soul spa and Fit & Fun fitness center are especially large for a ship of this size, and there's even AIDA Golf, an indoor putting green and golf simulator. Most cabins are standard insides and outsides. Of average size, they're decorated in bright fabrics for a festive touch. There are also a number of suites and balcony cabins, but on this ship the focus is to be out and about and having fun, not to spend a lot of time in a luxurious cabin. 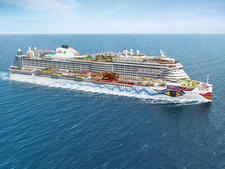 When it launched in 2015, the 3,300-passenger, 124,500 gross ton AIDAprima was the new flagship of AIDA Cruises and the largest in the line's fleet. AIDAaura entered service in 2003 as the third ship to join the fleet. It is an enlarged and improved version of the original Aida (now AIDAcara). 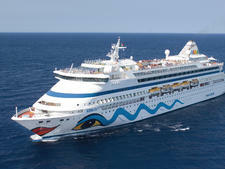 AIDAvita, like all AIDA ships, was specially designed around the line's ultra-casual "club ship" concept. The ship features a Hemingway Bar and indoor putting green.